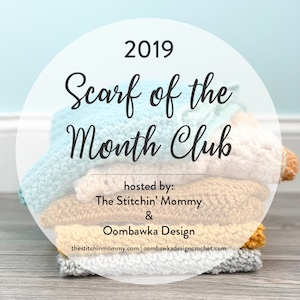 Do you like the knit look, but you don't know how to knit, or maybe you're just like me and prefer crocheting? I have knitted for many years, since my childhood and I really like the knit look, but crocheting is so much faster and I just love working with my hooks. That's why I have always tried to find some ways to imitate the knit look! I have been playing with some crochet stitches and I think that I made a great discovery! For me, at least! 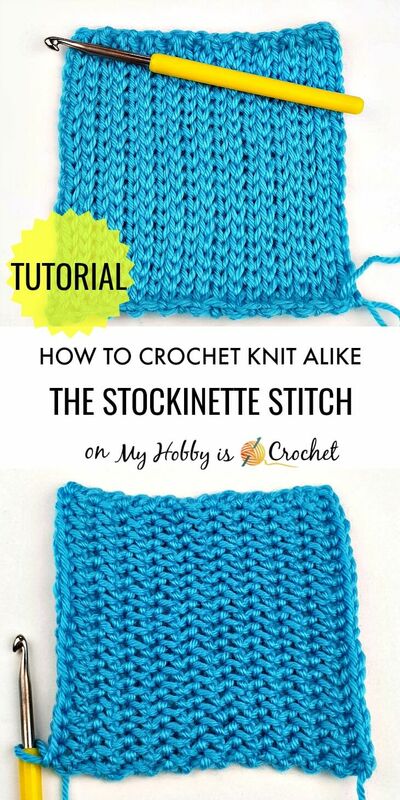 :) So, if you love the look of the knit Stockinette Stitch, this tutorial might be just something for you! 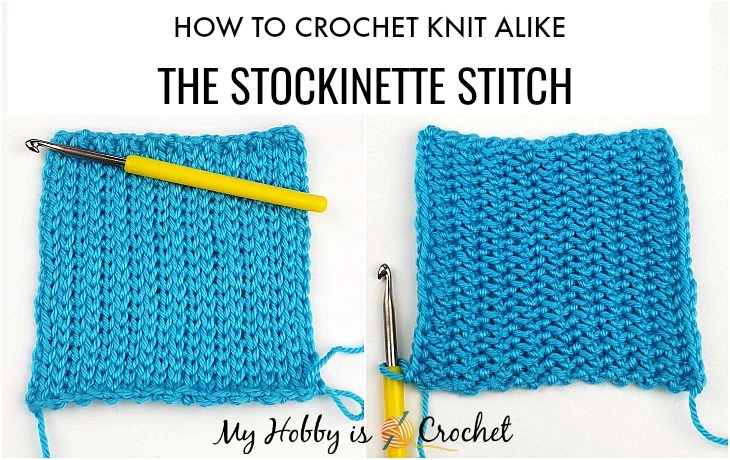 First of all, let’s see what a Knit Stockinette Stitch is and how it looks! As you can see in the picture above, the Knit Stockinette has 2 sides: a right and a wrong side of work. On the Right Side of work the stitches look like small Vs and are called knit sts. On the Wrong Side the stitches are bumpy and are called purl sts or reverse stockinette. 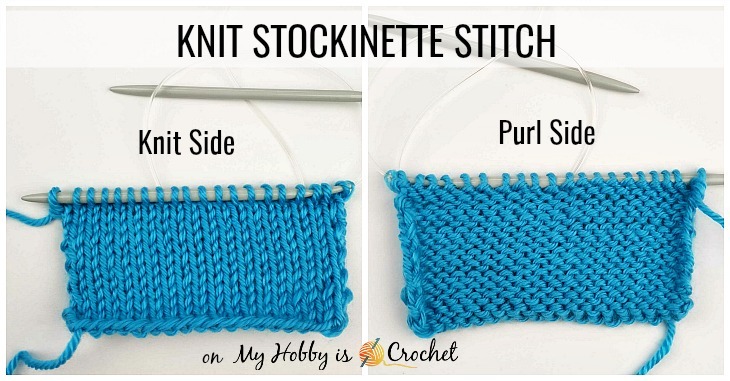 To knit Stockinette stitch, you will alternate one knit row with one purl row. b) how to work the yo- slst into the 3rd. loop at the front. 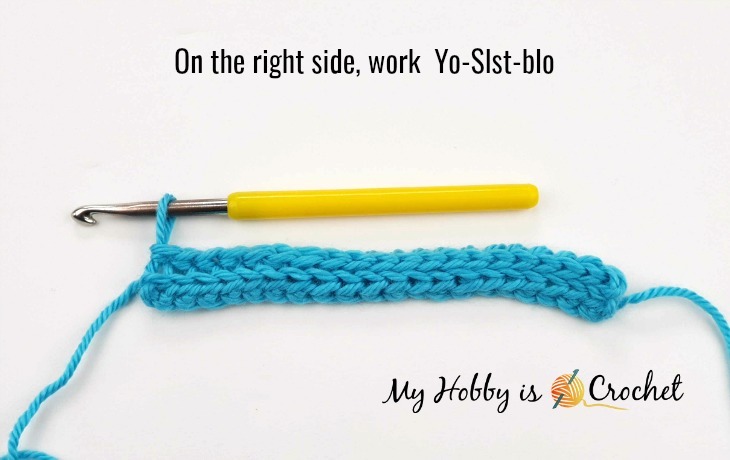 We saw that crocheting repeated rows of yo-slst-blo sts, will create a pretty Crochet Ribbing that resembles to the knit look ribbing (knit 1, purl 1). 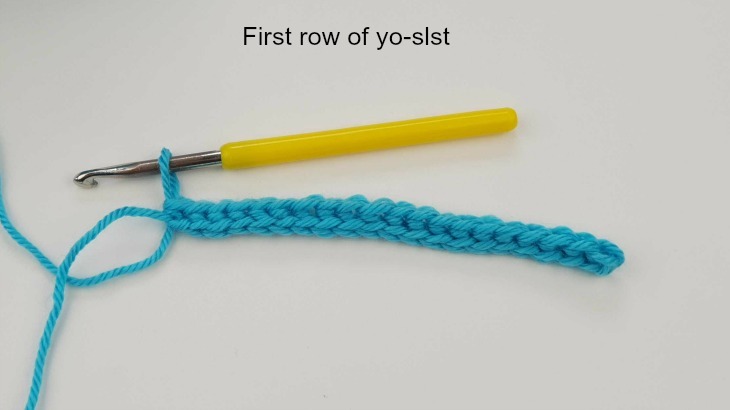 This kind of ribbing can be obtained also when working repeated rows of yo-sl-sts into 3rd loop at front. Now let me give you the great news! 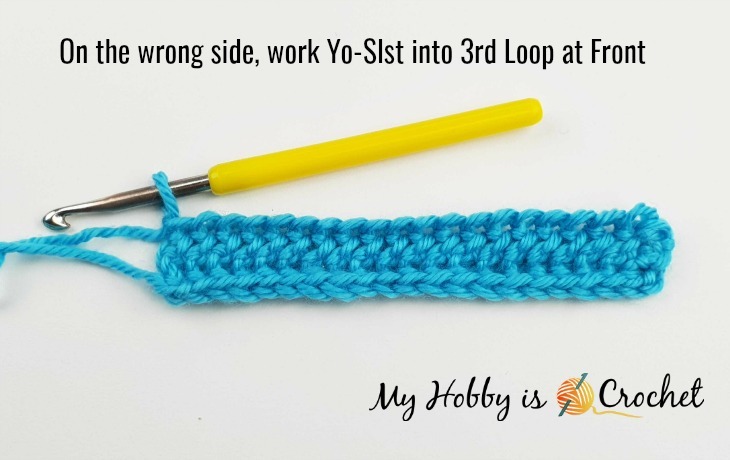 To Crochet a knit alike Stockinette stitch (with Vs at the front and purl look at the back) you will alternate one row of yo-slsts-blo with one row of yo-slsts into 3rd.loop at the front! Once you'll flip your work to the vertical, you’ll see the magic happening in front of your eyes! Taadaa! Crochet Stockinette! I really love the crochet "purl" side. Same as the knit Stockinette, the crochet version has a tendency to roll up a bit. That's why you should either block your crochet piece, or combine it with ribbing to prevent it from rolling. Now let's see how it works! 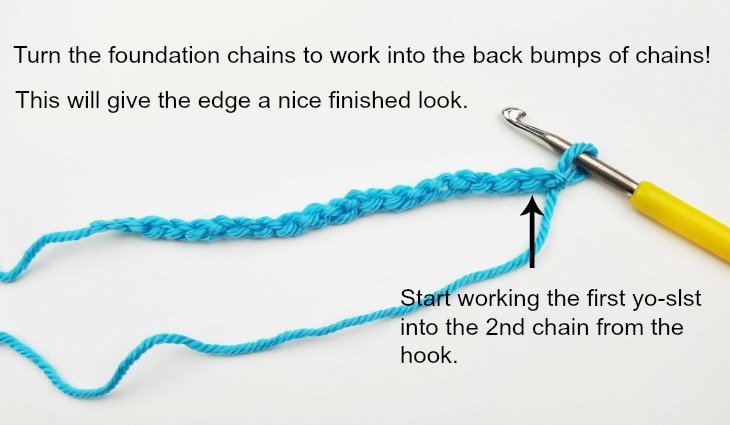 - back bump of chains - See my picture tutorial. For this tutorial I have used Red Heart Soft yarn and a 5 mm/ G hook! Note: The ch1 at beg of rows will not be counted as a st.
Repeat rows 2-3, always working yo-slst-blo on the right side and yo-slst into 3rd. loop on the wrong side!